With the launch of Titanfall yesterday I thought it’d be a good time to drop a few aiming hints I’ve picked up over my years of PC gaming. This will of course only be applying to mouse and keyboard gaming. With the resurgence of the PC market last year and the subsequent decline in console sales, I’m hoping that a good number of you will be able to walk away with something new to experiment with. There’s no replacement for experience, but if you feel yourself lacking laser-like precision, I can help you get there. Firstly and fore-mostly, the mouse. Essentially there are two different types of people who use a mouse; those with claw-builds and those without. The claw-build is where the pinky and thumb do not actually rest on the mouse. Often the mouse is barely even touching the mousepad itself. The pinky/thumb are used to stabilize the hand and offer greater precision for fast turns, precision head-shots, etc. This is going to mean playing around with a few different sizes in mice before you buy one, especially if you have small hands like I do. 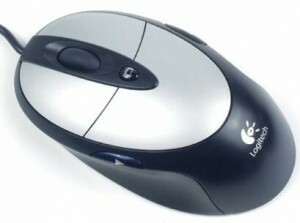 For years I used the Logitech MX310. I actually bought 4-5 from china because they aren’t sold in stores anymore. Right now I’m using the Logitech G9X because I’m able to make use of both of the buttons on the left hand side whereas the MX3210 has one on either side. I still use a traditional cloth mousepad but there are a lot of varieties out there today and some can be more expensive than the mouse you purchase. I’d recommend buying a few small mousepads of different compositions before settling on something. Not everything out there seems to work well with laser mice and sometimes even when they do, they still get blown off your desk or constantly moved around when you’re playing. In addition to the cloth mousepad, I also use teflon tape on the bottom of my mouse. I want to say Jamison of 20ID suggested it years ago and I’ve been doing it ever since. The first time I added teflon tape to the bottom it just felt like my mouse was floating. To me it meant a greater degree of precision because I wasn’t brute forcing my mouse across the pad anymore. I don’t think you necessarily need teflon tape to win, but a lot of mouse pads attempt to re-create the feel of adding tape and then charging 234234234 as much for doing so. $2.00 tape + $1.00 mousepad have served me well for a long, long time. Now that we have the actual device out of the way, lets get into the meat and potatoes of the fastest way to improve your aim with a mouse; turning down your sensitivity. This sounds a bit silly and you may be saying, (this is really his big secret?) but allow me to explain. The entire reason behind what makes M/KB players so much faster and more precise than anyone using a controller is a direct result from having a much greater area to move around your crosshairs. There’s no need to jack up your speed because if you want to move fast you can simply move your mouse faster. This isn’t an option when using a controller because you have less than an inch to move your thumbstick. Getting shot in the back? Not a problem. Whip your mouse around and find out where those shots are coming from. Verticality? Not an issue. You can pan around constantly and keep a clear view of your surroundings. I don’t want to turn this into a PC vs console or M/KB vs controller war, but if you’re predominantly coming from a controller background, it’s going to help to understand the advantages of a M/KB setup in order to make use of them. Because of the added precision and speed offered by the mouse, you’re going to want to keep moving more often. This often times means strafing, but in a game like Titanfall it may mean double jumping and wall running. Going prone on sight or crouching and sitting still in midrange while ADS’ing may work well on console, but it will not raise you to the top of the pack on a PC. This is a large part of why I’m writing this article because I guarantee that most people who I see do this are probably thinking to themselves that aiming any other way is just too hard. If you play around with your sensitivity you will find a sweet spot that works not only for you, but the game you’re playing. I guarantee your aim will shift from being chancy whether or not you get the kill to your cursor sitting on his body 95% of the time. If you don’t make the kill it wont be because your aim wasn’t good enough. Once you’re able to factor that out of the equation, you can work on all sorts of other strats to improve your performance. 1. Do you turn off mouse acceleration? 2. Do you keep raw input off? 3. What DPI do you play on? Thank you btw, im just getting into PC gaming and this was really helpful. Sensitivity = what you can comfortably do a 180~270 quickly and somewhat accurately. Turn off any sort of mouse acceleration and if you can, go to the “Pointer Options” tab in “Mouse Properties” and leave the pointer speed in the middle + uncheck “Enchance pointer precision”. In game, if possible, reduces the size of the crosshair, try to learn the recoil pattern if possible, and most importantly, learn NOT to ADS at mid range. P.S. the usual stuffs, don’t sprint around corners, aim where you expect enemies will pop out, expect douchebags, and don’t chase like a mad-man. Also, try not to think in ingame sens or mouse DPI but in how much centimeter you need on your mousepad to make a 360 ingame. Put windows sens on 6/11 to have 1:1 input. Lower is acceptable, but on higher settings you will notice some skipping (can be clearly seen when you draw a diagonal line in paint). Enhance pointer stuff off indeed and also use MarkC mousefix to get rid of the last remaining amount of mouse acceleration. If you want to use mouse acceleration (which can be totally acceptable btw), it’s best to set this ingame for the best control of it. Now back to cm/360 values. If you know this value, you can easily take this from game to game which makes setting up each game much easier. And I agree with Waldo about using a relative low sens (= high cm/360 value) for shooters. In the long run this will help you a lot. I use ~35 cm for a 360 in Titanfall and I don’t think you can even consider this ‘low’ sens. Don’t try to stick with insane settings like <5cm/360. For Titanfall specific: you can change your mouse sens in the config as well which you can find in your documents/respawn map. So no more fiddling around with a slider. Also under launch options in Titanfall you can add +m_rawinput 1. Not sure if it really works, but can't hurt to try. 1.Do you turn off mouse acceleration? 2.Do you keep raw input off? 3.What DPI do you play on? Ahh, good questions. Mouse acceleration is something that picks up your speed the longer you move your mouse, similar to the way a console game works. I suppose it’s not a horrible idea if your entire goal is to spin 360’s as fast as possible, but if you want to know where your cursor will end up, I’d turn it off. One of the areas I always make sure is unchecked. I’m not sure what raw input is so I don’t know how to comment on it. I will however add here that vsync can often change the way a mouse moves and add lag to the process. The last title I played where this had a significant effect was Deus Ex. Another option I always make sure to turn off. As far as DPI goes, I’m not sure when or where the idea behind 234234234 DPI became a thing. I have never met anyone who on the fly wants to go from 300 DPI to 5000 DPI in the middle of a game. There’s simply no way to swap that quickly and acclimate to a new sensitivity in order to get a perfect headshot or do a 180 spin and snap back to your original sensitivity to take the shot. My MX310 has a native ~300 DPI or something like that and it has worked well for years. It really doesn’t matter. Raw input is an ingame setting that bypasses/overrides the windows mouse settings, so if you don’t have mouse acceleration on + you do have raw input on ingame and you do have acceleration on in windows, then you should get no mouse acceleration. It doesn’t always work properly (CS:GO’s setting is (still?) faulty I believe for example), so most people use the MarkC mouse fix to get rid of mouse acceleration in windows entirely. About DPI: the best setting is your mouse’s native DPI (mostly 800 or 1800ish DPI with high end optical mice, no idea about laser). But most of the time it’s no problem and you don’t notice something wrong when you don’t play on the native DPI step. I only sometimes use a higher DPI step to sort of ‘cheat’. Like hipfiring the undeployed MG’s in Day of Defeat which have crazy high recoil undeployed, but even then it’s not really effective and more for the lolz. Aside form that, very high DPI settings are not that usefull yea. This is because it limits your ingame sens settings and sometimes those settings don’t go low enough if your DPI is too high. Yeah I used the Mark C thing Gundogan mentioned before to get rid of all traces of mouse acceleration and left raw input on. I also turned mouse accel off in windows settings. I play with a “roccat lua” mouse on 1500 dpi and low sensitivity (like 2 or so in CS:GO, which is what I’m primarily playing). It seems to be working pretty well. Interesting you play on a 300 dpi and low sens, wally. If i put my mouse on those settings it would take too long for me to do 180’s and stuff. Might have something to do with the claw grip (I don’t use the claw grip b/c my mouse isn’t designed for it). Yeah I used the Mark C thing Gundogan mentioned before to get rid of all traces of mouse acceleration and left raw input on.I also turned mouse accel off in windows settings.I play with a “roccat lua” mouse on 1500 dpi and low sensitivity (like 2 or so in CS:GO, which is what I’m primarily playing).It seems to be working pretty well. Interesting you play on a 300 dpi and low sens, wally.If i put my mouse on those settings it would take too long for me to do 180′s and stuff.Might have something to do with the claw grip (I don’t use the claw grip b/c my mouse isn’t designed for it). I don’t mess with anything to override a games innate mouse sensitivity. I not only enjoy my basic mouse sensitivity being consistent, but IMO all games are different. It’s much easier to boot up Game A/B and already have the correct sensitivity without changing in between games. As you mentioned though because it can get goofy at times, I always make sure to disable things like mouse acceleration in both windows and the games themselves. The thing about Sensitivity is: a lot of people think that it’s just about making the mouse feel faster…it’s not! Higher DPI means that the Sensor in the mouse has more…well…dots it scans at the set polling rate of the mouse–>more dots register movement –> faster mouse cursor. But that also means that it can detect the most MINISCULE movement, therefore making it more precise! Here is where I make my difference: INGAME! I have a Corsair M65, and in games I use the full 8200DPI capability, but for example in BF4 I have my ingame mouse settings so LOW that I get 17,35cm/360° on my mousepad. there is a nice little website called http://www.mouse-sensitivity.com where you can actually “translate” the ingame settings and DPI settings between a lot of games.